LemonRock Hostel i Granada, Spania: Bestill nå! Payments: At the same moment the group make reservation, Lemon Rock will charge 30% of the total amount due to be paid at the hostel to the credit card they provided as a guarantee. The rest of the total amount will be charged one month before the check in date. If the credit card is not working properly, Lemon Rock can cancel this reservation at the same moment. Cancellation: The reservation can be cancelled any time after booking by the customer. No deposit charged will be given back. No Show: If the group do not arrive to the hostel in the check in date, Lemon Rock will charge the total amount of the reservation and the rooms will be rented to other people for the second and following days. If the group need to arrive the second or further nights of their reservation, it must be communicated to the hostel by the date of check in. Reduction in numbers: Our rates are designed mostly for groups and they are already reduced. But we wanted to include free continental breakfast for all the groups booked through Hostelworld group. -	The distribution of the people in the rooms will be always in multiple rooms from 4 beds per room to 13 beds per room, depending on the availability of the hostel. Groups can propose a distribution but it is subjected to availability. -	We always provide a multiple room for all the guides/teachers/drivers of the group. If they want to stay alone in a room, it has a supplement of 40€ per person and is always subjected to availability of the hostel. -	Linen is included in the price of the room. Towels are not included. We have towels available for rent. Its price is 2€ per unit. All our rooms have bunks. Please take it into account for people with reduced mobility. This hostel is a party hostel and it can be noisy at the weekend until 3:00 am. From Sunday to Thursday it is quiet. The building is manor house with and Andalusian courtyard built in the XVII century. 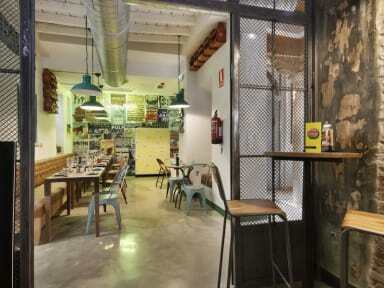 The decoration is a mixture of original and renewed materials, creating a modern and industrial style. LemonRock is the perfect place for the leasure of travelers. The hostel owns 73 beds distributed in 12 rooms. 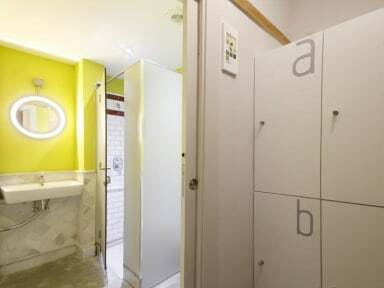 Every room has a private bathroom, lockers, reading lamps and individual plugs. Enjoy our bar & restaurant where you can taste from our tradicional, vegan or vegetarian recipes until having fun spending a great time. Breakfast not included - 3 EUR per person per day.